We have seen watches with leather bands, plastic bands, steel bands and even gold bands. Away from the traditional watch wearing mechanism, Art Lebedev studio has come up with an amazing product named Integralus Digital watch. 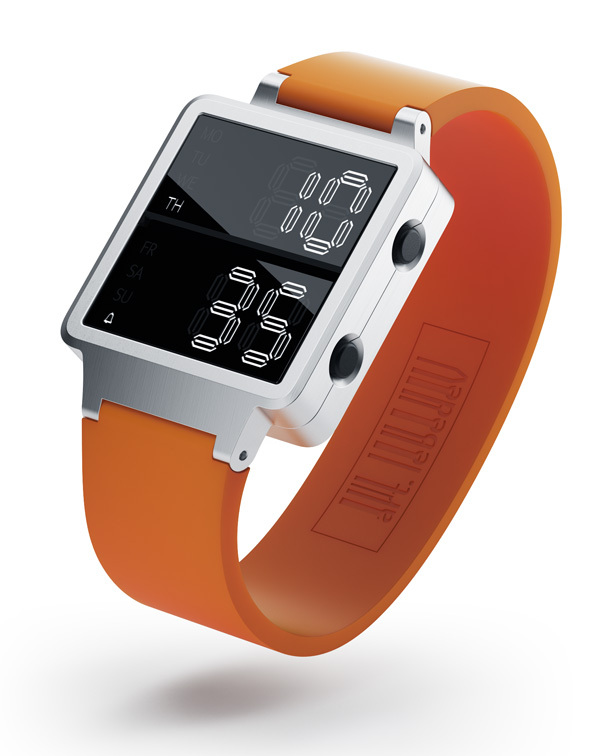 Integralus Digital Watch features a double body closure and two display segements. One is for hour and the other for minutes which strap together for a secure lock. 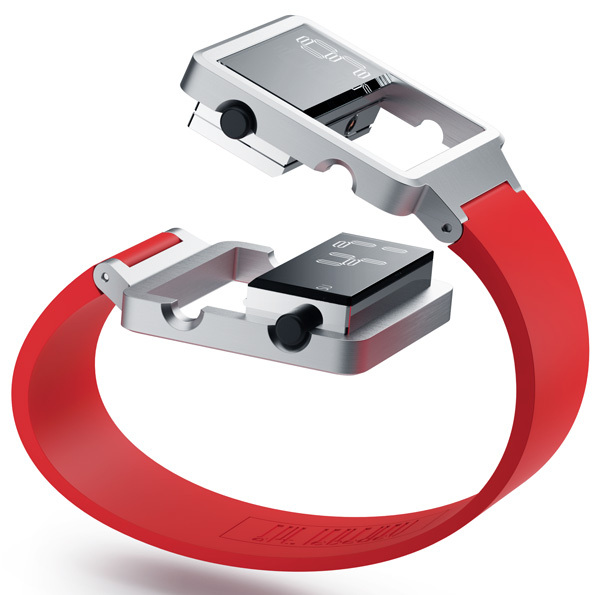 Its body is made of milled aluminum and the elastic bands come in three sizes. 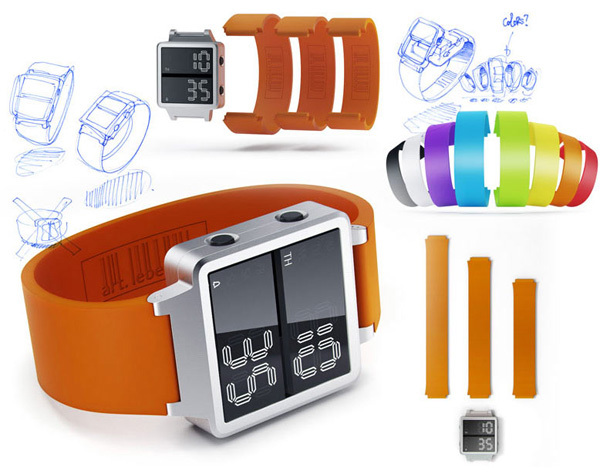 Look wise this watch looks like more or less digital watch with different way of strapping around your hand. 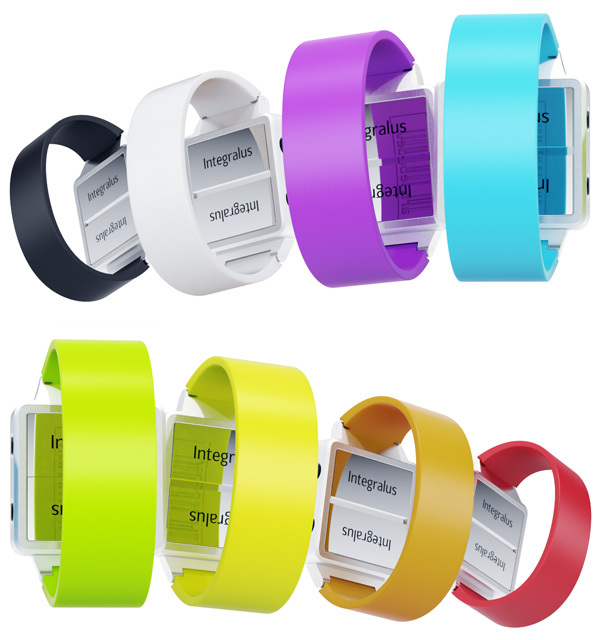 Band looks bit colourful which can be used only for casual wear. For those who are fond of watching seconds in their watches, this product may bit disappoint. 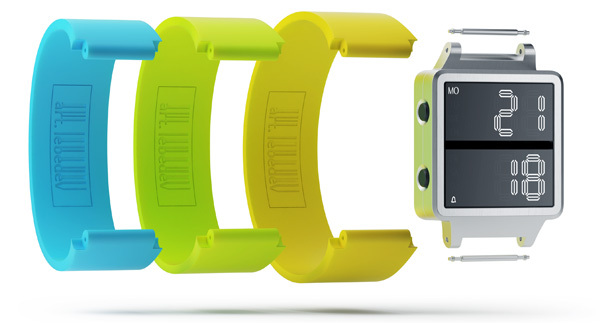 This product is for those who really think they need a Digital watch with colourful bands this is the best. Overall this product looks really cool.